Nearly every industry has seen growth and improvements in efficiency and effectiveness due to upgrades in technology. Computers have become an integral part of patient treatment, assisting healthcare professionals to achieve better care, reduce risks, and achieve more positive outcomes. Mobile computer cart power is an important component of most healthcare facilities, changing the way information is collected and shared. Technology, such as laptop mobile carts, has improved the way that information is shared, updated, and maintained in healthcare facilities. Instead of having to handle thousands of rows of paper files, many practices are choosing to go paperless. Medical records of every patient available where and when health workers need to access relevant information. Mobile carts and other technology allow healthcare providers to bring patient records to the point of care and update them in real time. Healthcare workers tend to have heavy workloads and little time in between seeing patients and performing their other duties. In the past, this meant it was difficult for patients to contact their physicians or other healthcare professionals with their questions, requests for clarification, or to report symptoms. Communication has improved not only between patients and their caregivers, but also between doctors, nurses, technicians, and other healthcare workers across multiple facilities. Information can be analyzed and sent to different branches, such as from the lab to the physician’s office. Healthcare workers can share their findings, ask and answer questions, and collaborate on how to treat their patients—all in a way that conveniently fits into their schedule. Since patient information can be accessed, updated, and shared through any point on a facility’s network, there is less risk of errors happening or incorrect information. 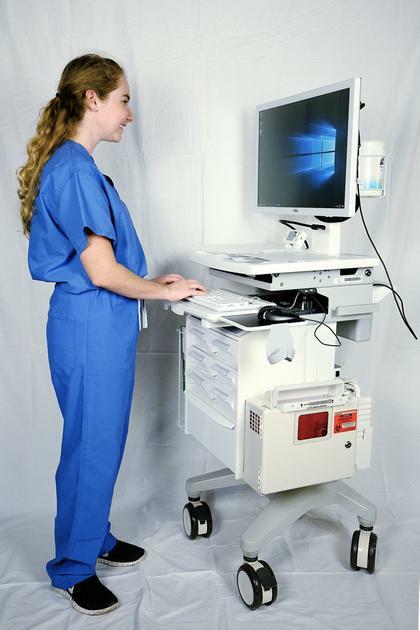 A mobile computer cart power allows a healthcare worker to enter information as it’s given to them, which can then be checked for accuracy. Since medical records are updated immediately, there is less risk of error from forgetfulness, outdated files, or wires getting crossed. Technology has allowed physician’s offices, labs, and other healthcare providers to give more control and transparency to the patient. A patient’s involvement in their treatment is a major predictor of a successful outcome, and technology provides them with a clearer understanding of their responsibilities. Many practices have started allowing their patients to access their records, see their lab and test results, and monitor their symptoms online through patient care portals. Mobile apps have also become a popular way for patients to take their healthcare into their own hands. Developers have created many websites that allow patients to quickly and easily track chronic conditions, lifestyle changes, and symptoms. This information can be shared with their healthcare professionals to allow for more accurate treatment. Improvements in technology have also allowed scientists and medical researchers to explore new treatment methods, share knowledge, and come up with novel innovations for disease-fighting methods. When serious contagious diseases crop up, technology allows different levels of the healthcare industry to stay constantly updated on the status and information to contain these outbreaks. Healthcare has made many strides in the last few decades, and much of this progress is due to innovations in technology and information sharing throughout the industry. 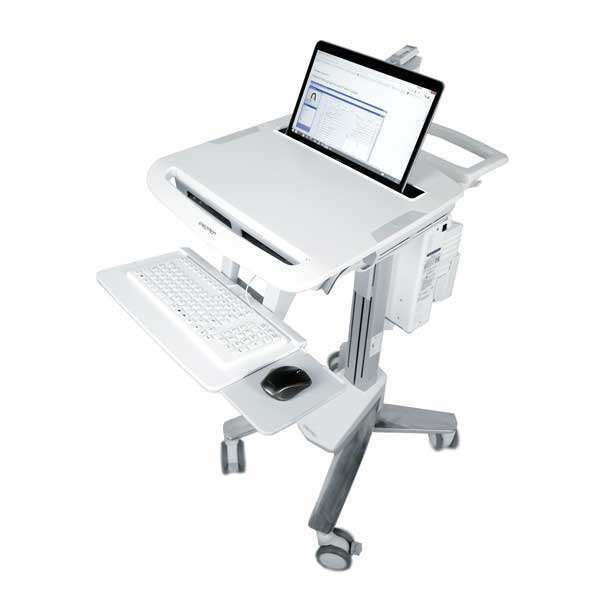 Computing cart power upgrade can assist healthcare workers in the course of their daily duties by keeping them connected.